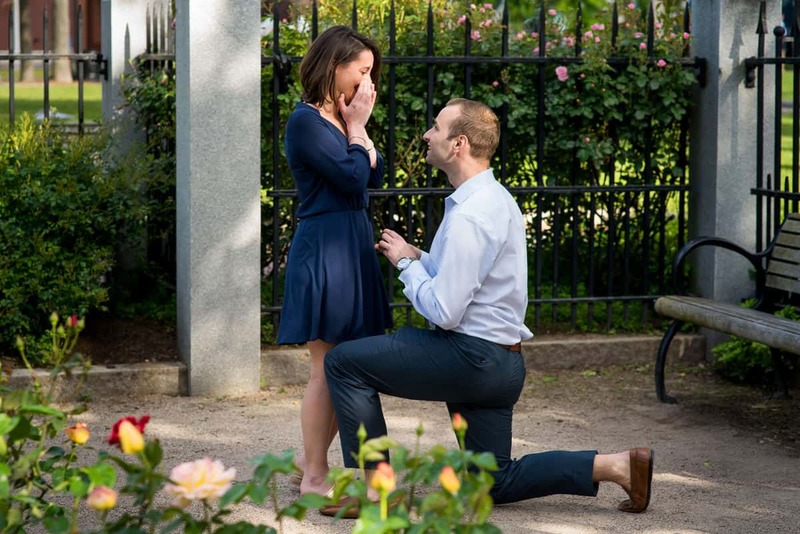 Brandon e-mailed me to photograph his Boston Christopher Columbus Park Proposal to his girlfriend, Jess, in the Rose Kennedy Rose Garden. Brandon and Jess’s story began in January 2011. They met on a Saturday night at Royale. Yes, Royale, Boston’s finest nightclub (cue laughter.) Brandon just returned from the Bahamas and Jess was back in the states after studying abroad in Australia. The best part of this story is that neither Brandon or Jess planned on going out that night, but as usual their friends (currently their bridesmaids and groomsmen, by the way) convinced them that a night on the town was better than staying at home. That night Brandon spotted Jess on the dance floor. He was stunned by her beautiful Australian tan. Jess saw Brandon and was blown away by his sweet dance moves. They met. They danced. Then they lived happily after. Before the night ended, they exchanged phone numbers. 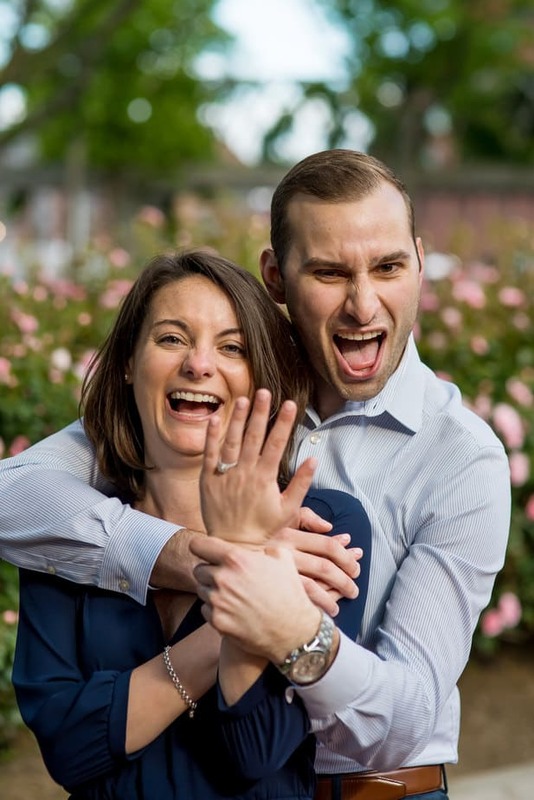 A few weeks later, they finally planned their first date in Boston, in daylight. Little did they know, that date would be the first of many more. After that, they became inseparable. 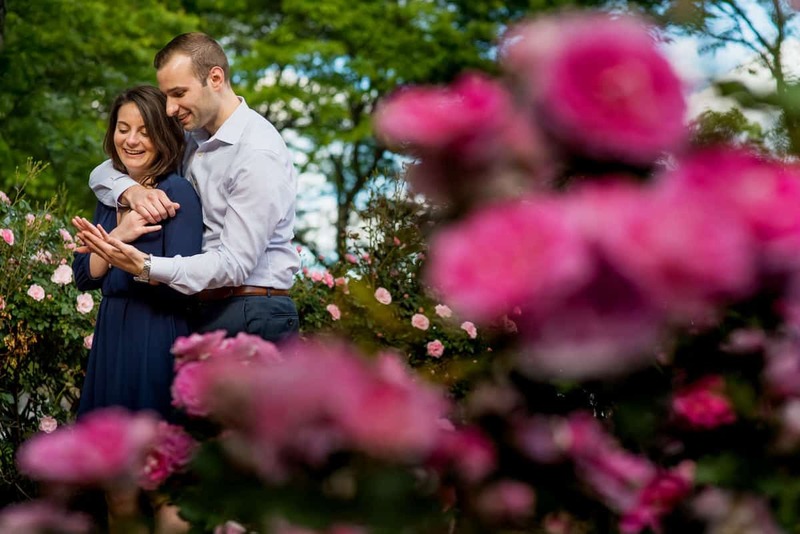 During their first year of dating, weekends were spent in either Newport, Rhode Island where Brandon was living or in Boston where Jess was finishing up her last year of college at Northeastern University. Since their first date, Brandon and Jess have built a beautiful life together. 7 years, three apartments, and one cat later, they’ve been through it all. One of their favorite things about being together is our continuous support of each other’s ambitions and dreams. They are constantly striving to make themselves better for each other and know that anything is possible as long as they do it together. Brandon continues to pursue his business career at a large global payment company in New York City. Since graduating from law school, Jess continues her work with a special passion for criminal justice. Thank you so much, Brandon and Jess, for giving me the honor of photographing your Boston Christopher Columbus Park Proposal!